Sandy Edmonds was born in England as Rosalie Edmondson. Along with her parents, she settled in Takapuna, Auckland in the early sixties. For a few brief years, Edmonds was a megastar in New Zealand. Known as much for her sultry good looks as for her singing, under the astute management of Phil Warren she became a pin-up girl, an endorsee of beauty products in women's magazines, and a hot fashion property. She was the female equivalent of Mr Lee Grant, whom she shared the spotlight with on the 1967 "C'Mon" television series. Her first recording came out in 1965, called "Oh No Not My Baby"/"I Don't Understand" on the Zodiac label. She followed that with four more Zodiac singles in 1966. They were "Give Him My Love"/"La Bamba", "Listen People"/"Sunshine Lollipops and Rainbows", "Come See Me"/"Now That You've Made Up Your Mind" and "Please Don't Switch Off The Moon Mr Spaceman"/"I Love Onions". 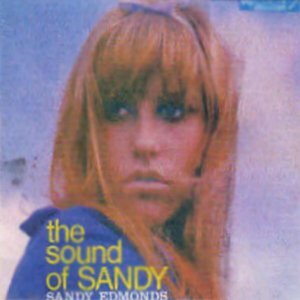 Sandy appeared on other TV shows, like the children's programme "Yo Heave Ho" and current affairs programme "Town and Around". In 1966 she went on her first trip to Australia. Doing club engagements, she also appeared on TV shows, "Action", "Go Show", "Kommotion" and "Bandstand". She also scored a support act role on the "Normie Rowe Show". When she returned to New Zealand, she toured on the support bill for the Walker Brothers, Roy Orbison, Yardbirds package and had her own show over the Christmas 1966 period around the North Island beach resorts. 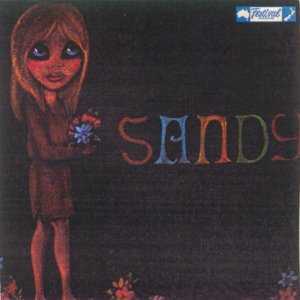 In 1967 Sandy had switched to Festival and released her first album, called "The Sound Of Sandy". Towards the end of 1967 her second album was recorded, with two singles being released from it. They were "Daylight Saving Time"/"Power Of Love" and "When You Walk In The Room"/"On A Day Like Today". The album was released early 1968. During 1967 she began to explore different markets, and visited Japan, Hong Kong and Hawaii for cabaret appearances. Between times she continued her appearances on the local club and TV scene. By 1968 the lure of bigger markets and more money, attracted her to Australia on a more permanent basis. She made her last appearance on the 1970 Starlift package tour. Over the years the critics have said of Sandy, that with her sultry looks, she was a classic case of style over content, short on range, strong on image. But even so, she was huge, she exploded onto the scene from nowhere and just as suddenly vanished without trace.